I have talked about water roux and how it can add extra water to a bread dough without deforming the shape. 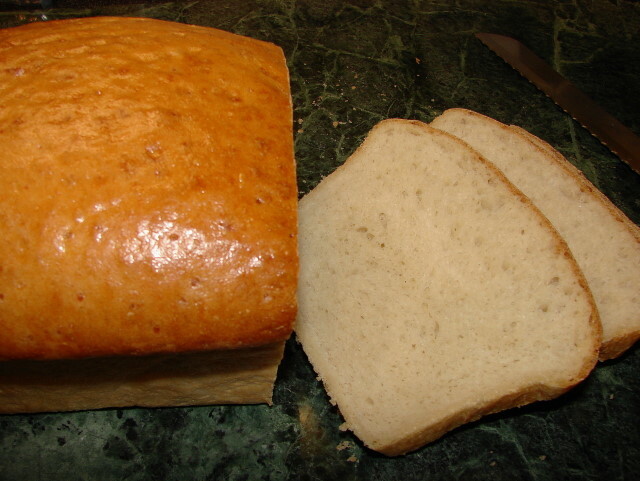 This post is to show you how I make a standard white loaf using water roux. Normally for a white bread loaf the normal water content (hydration) is around 60 - 65%max. With water roux added, the dough water content can raise to 70 -80%. Eventhough there is so much water in the dough, it doesn't act like a ciabatta dough. This dough is soft but will hold its shape like a standard bread dough. 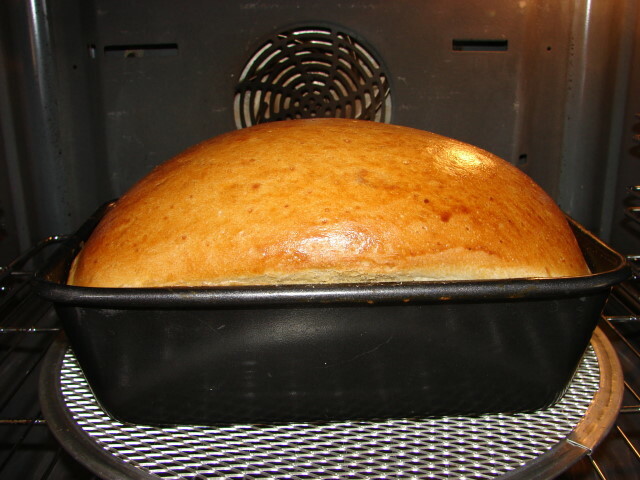 When baked the texture is fine, soft and moist. Water roux method is best for small soft buns and milk based soft loaf similar to brioche with rich butter, to maximise the softness. It is ok for white loaf too. For a large loaf I find it is best not to add too much liquid or the bread can be moist but dense, 76% hydration is about right. If for small buns, can add a touch more liquid. Make a 2 lb loaf. Best make into burger buns or small buns too. Whisk flour and water together then pass through sieve to remove lumps. Then gently heat and stir this mixture for about few minutes till it has thickened to the consistency of custard. Remove from heat, cover and leave to cool for few minutes. *The amount of water depends on the type of white bread flour you used. While the custard is still warm add in the butter straight from the fridge to melt (or just stir in olive oil) and stir in the salt too. Leave this mixture to lukewarm. Mix dry bread flour with yeast evenly. 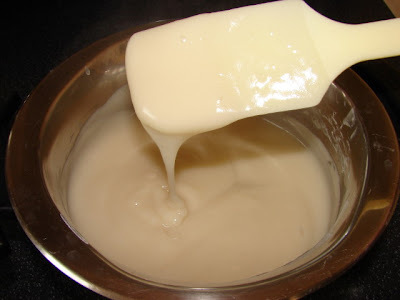 Then mix custard and dry flour mixture together (by hand or machine, I always use machine), and gradually add enough water* till the dough is well mixed. The texture of the dough to look for is soft, a bit sticky and firm enough holding its shape. I mixed the dough in the machine for few minutes. Do not be ambitious to add too much water, add enough till you are comfortable with the texture. Anything around and above 72% hydration (i.e. 70ml water for this recipe) is good enough. The more you get used to using water roux the more you'll know the maximum amount of liquid you can add to any type of flour. 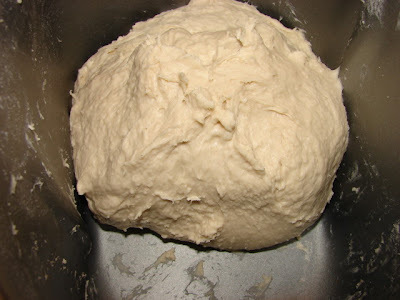 Leave the dough to rise as normal to about 1.5 in size, then knock it down. You will find the dough is less sticky after resting and proofing. Dust hands and working area with a little flour and gently fold and knead it briefly. Then shape and put in a greased loaf tin, on a baking tray for a freeform loaf, or form into buns. This soft dough is not really effective for scoring before baking. Leave to rise till double in size. I brushed the loaf with beaten egg to give it a golden shine, this is optional. Bake in preheated oven at 210 - 220deg C for 5 - 8 minutes then turn it down to 200 - 190deg C for a further 30 - 35 minutes. For buns bake for about 15 - 18 minutes at 200 - 190deg C. I have also poured some water onto the base of the oven to create steam. I've been enjoying the water roux method lately. However, I haven't tried making the regular white bread with water roux. Thanks for the tips. I will try this soon. Tuty, saw the little buns you made looked lovely. I tried using the water roux method (not your recipe) but found the dough very wet and sticky. Is it supposed to wet and sticky? Water Roux makes the dough absorb more water thus making it more soft. The dough is soft but not so wet that it is impossible to work with. You need to use bread flour, higher protein % is better.